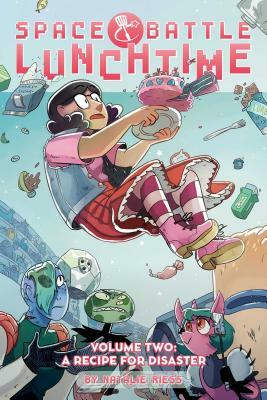 It's almost time for the season finale of Space Battle Lunchtime, and finalist Peony (the only Earth contestant) is nowhere to be found That's because she's been kidnapped and taken to the set of Space Battle Lunchtime's biggest rival, Cannibal Coliseum, where chefs compete to cook... each other. Up against some of the most dangerous aliens in the galaxy, will Peony even make it to the end of the show? Stay tuned.